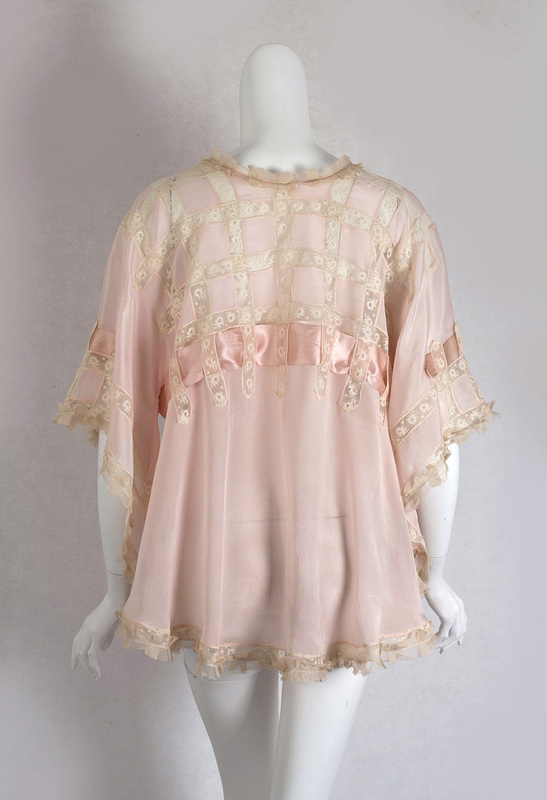 Frilly combing jackets, always popular with collectors, have moved from the Edwardian boudoir into contemporary fashion. 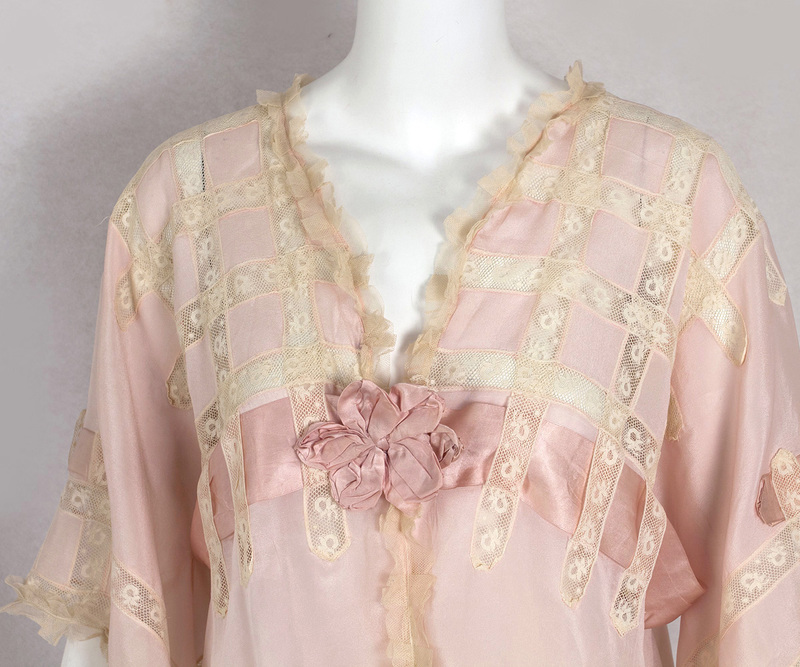 The Edwardian period was celebrated for its extravagantly romantic boudoir creations. Wear this beauty with black skinny leg pants for an edgy fashion statement. The lightweight silk jacket is a delicious shade of pale pink. Rows of lace inserts and pleated tulle edge ruffles add to the emblematic feminine appeal. The wide satin ribbon band and ribbon flower are original, a special plus for the serious collector. The jacket closes in front with a hook under the ribbon flower. 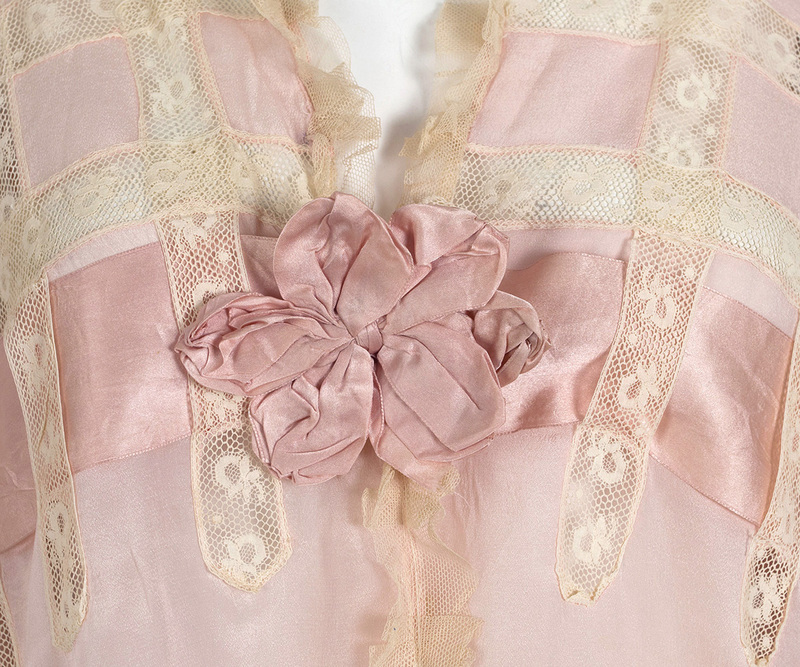 From 1900 to the mid-1920s, fashion emphasized lingerie and déshabillé. Married women, as well as courtesans, belonged to the "cult of chiffon." 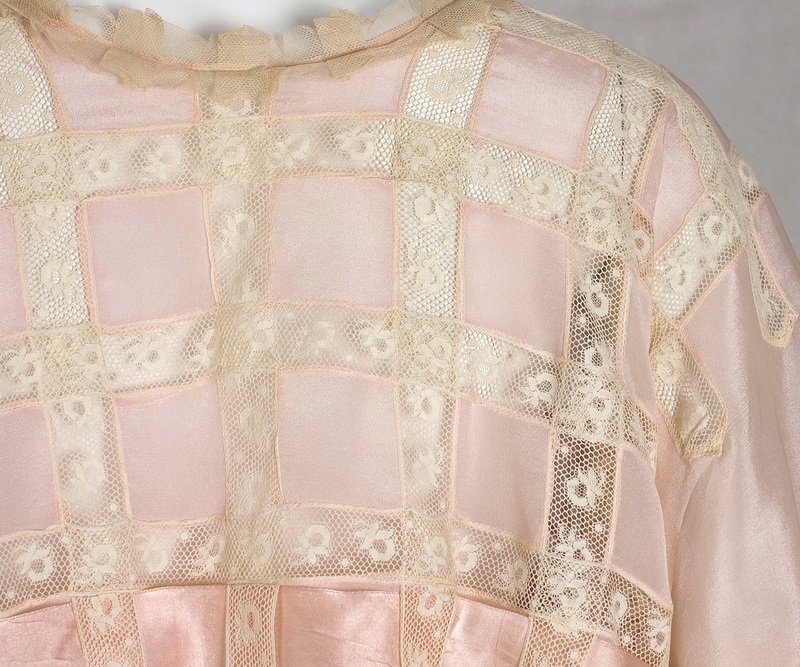 We can see this passion for intimate beauty in the extraordinary attention to detail in Edwardian lingerie—virtually absent today from all but the most expensive garments. 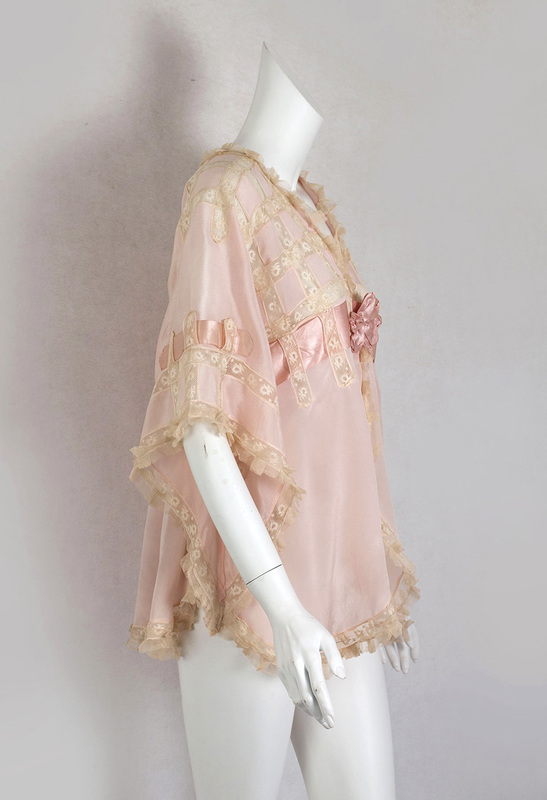 With a simple palette of ivory inserts set against a pink background, the designer has materialized in this ultra-feminine jacket the spirit of Art Nouveau, which favored the obligatory pale pastels that dominated the decorative arts from 1890 to 1910. The condition is almost excellent. The jacket just shows gentle wear. It measures: 40" bust and waist, 60" hip, and 28" from shoulder to hem.